With the release of Star Wars: The Force Awakens, the Star Wars excitement is at an all-time high and I image it’s going to be a rather popular theme among classroom valentines this year! Star Wars is certainly top pick with my 3 boys! They’ll all be sharing some fun printable Star Wars cards with their classmates! We’ve got some cute Force Awakens cards on the blog, but there are so many other fun options out there. 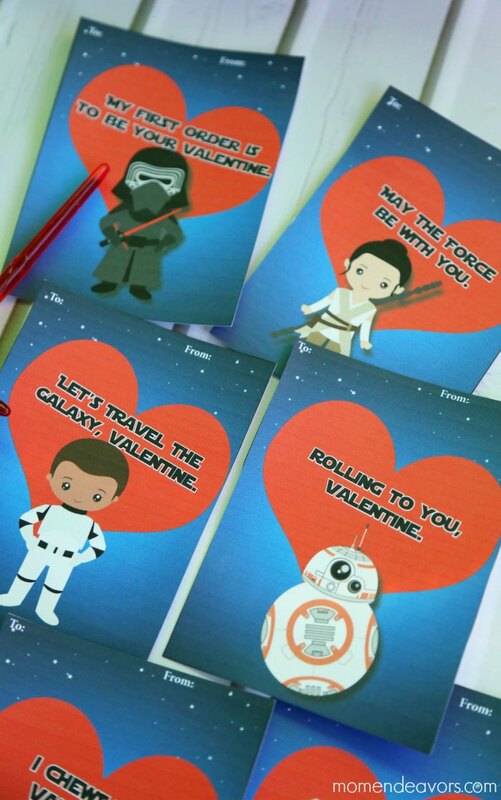 So, we’ve got a great list of Star Wars valentines you can choose from! Which Star Wars Valentines are your favorite?